Pro Male race cycle update. 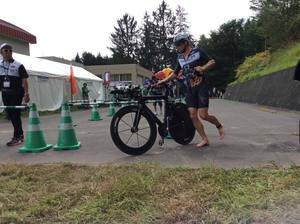 Japan has a long history with IRONMAN, dating back to 1985 as the first IRONMAN event in Asia and the second international qualifier after New Zealand. 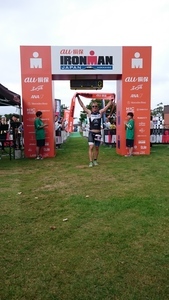 2015 race day features an inviting swim in the flat, clear drinkable water of Lake Toya; a bike course with impressive views of imposing mountains, volcanoes and lush farmland; and wraps up with arguably one of the sport’s most spectacular run courses alongside Lake Toya showcasing fireworks in the night sky. #IMJapan Brazilian Pro Thiago Vinhal has withdrawn from the race. He was 2nd out of water behind Simon Cochrane and was holding 2nd on the cycle course at start until he took the wrong turn and rode off course. 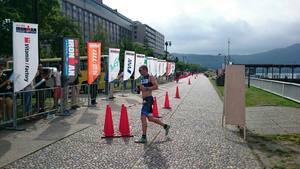 1st Male #13 Swen Sunberg DEU followed closely by #6 Yu Shinozaki JPN have just passed the 145km mark en route to T2. Last reports we had is that Keiko Tanaka had to stop to change a flat tire. 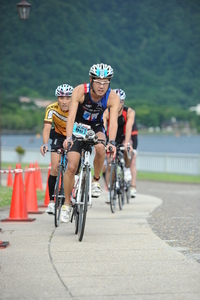 #IMJapan is one of our great asia-pacific destination races. 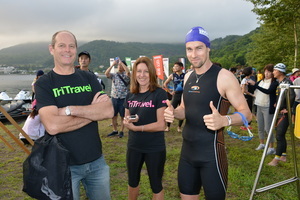 New Zealand pro athlete, Simon Cochrane is here racing and is accompanied by his parents, Mark and Diane who are enjoying the Tri Travel tour experience. The 1st age grouper, #248 Jacob Wissum from Denmark has come through T2 at 5th overall. 2 x Female defending champ Shiao-Yu Li is off the bike and is 19:34 back from 1st place Bree Wee. 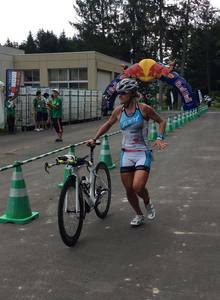 All top 4 female pros battled together at the #IM703Japan race in June where Shiao-Yu Li took the Win. 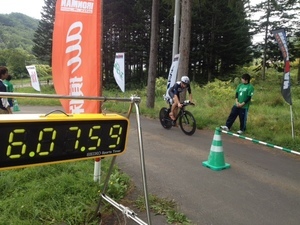 男子プロ。ランコース１５Km地点で、#1Patrick Evoe(USA)が日本のリーダー#6篠崎友をパスして２位に浮上。１位の#13Swen Sundberg（ドイツ）からは４分１４秒の遅れとなっています。４位はトップから９分５０秒の差で #4Simon Cochrane（ニュージーランド） . 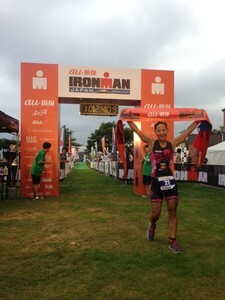 Keiko Tanaka has passed leader Bree Wee and is now in first position. Does our 2 x defending champ, Shiao-Yu Li have the legs to catch the 3 ladies in front of her? If anyone can, this pocket rocket from Taiwan can! German Pro Swen Sundberg has lead the mens race for most of the day. He is close to finishing & taking out 2015 #IMJapan The crowds await him shouting "Swen, Swen, Swen Champion"
Big changes in Female race with 2x defending champ, Shiao-Yu Li is now in 1st place storming home. Will she make it 3 from 3 here in Hokkaido, Japan? She has done it again. That is win number 3 for Taiwan female Pro, Shiao-Yu Li. Congratulations! "I love racing in Japan. That was the hardest year as it is a really challenging course. On the ride it was tough but I am so happy to win. Thank you to everyone for their support"
Ladies and Gentlemen, that is a wrap for the day following our Pro athlete field at IRONMAN Japan. Congratulations to our Male and Female Champions, Swen Sundberg from Germany and Shiao-Yu Li from Taiwan.